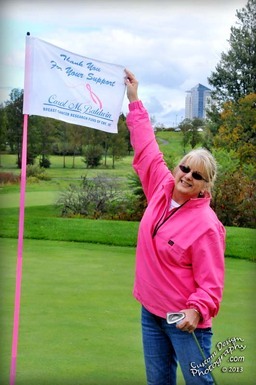 Carol M. Baldwin Cancer Research Fund of CNY, Inc. Founded in 1996, The Matriarch of the Baldwin Family is the namesake for this organization and, as a breast cancer survivor, chose to become significantly pro-active in the fund-raising efforts for breast cancer research and medical care in the Central New York area. (The Fund’s primary purpose is to provide the money so desperately needed for researchers seeking the causes, prevention and treatment of breast cancer.) Additionally, there is a 'duplicate' yet all together different organization based in the Stony Brook, NY area... as well as her being a founding member of the first Susan G. Komen Foundation chapter in Central New York. Thru various annual efforts (a Golf Tournament at the Turning Stone Casino & Resort; a Walk/Run "race"; a Canoe/kayak event; and more) and working with others who care to sponsor events this organization works to FIND A CURE. This EVENT has not yet happened.. Please check back after the 22nd of September 2015... thank you!